One of the most tried and true methods of building a pipeline for your sales process, publishing a whitepaper can be a truly transformative force in your business. 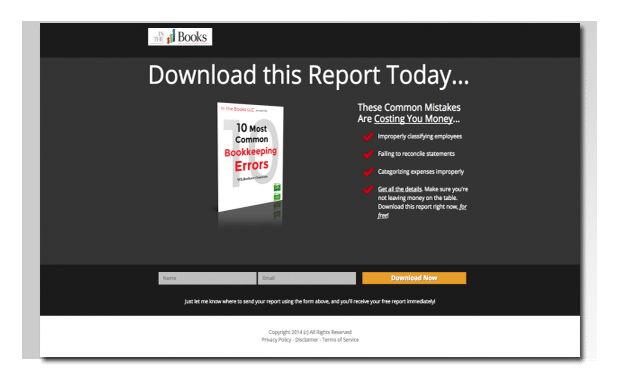 There are still millions upon millions of business owners, frustrated by the results they’re getting online. If this is you, it’s very possible a few small tweaks to your approach are all that’s necessary to get more leads and sales coming in than you’ve ever had before. A whitepaper is the perfect example of how something very simple can make a massive difference in the results you get. The key is to provide a real solution that connects with your ideal target audience. By giving this to them for free, you open a conversation with them. It gives you an at bat you never likely would have had otherwise. The best thing about this type of approach is that is will scale as far as you want it to go. It takes no more time to stay in front of 100k people than it does to stay in front of 100 people. Or 10 people. All that’s needed is to get started. We’re excited to help! Start enjoying predictable, consistent, profitable marketing results! With the right assets in place, your business should be growing…even when you take time off. If your business suffers when you take time off, you need a better marketing strategy. Contact us for a free marketing consult. We’d love to hear about what you’re working on and see if there are any specific areas we can help. PLEASE NOTE: We cannot guarantee we’ll be a good fit for you. However, we do guarantee you’ll walk away from our call with specific, actionable recommendations you can use to grow your business fast. Contact us to book a free marketing consult today. Our website services are not the right fit for everyone. Check out our 7 Point Marketing System, and decide if you’d like to talk with us further.